The debut of a new title from Robert Kirkman’s Image Comics imprint Skybound is always a highly-anticipated event in the comics market, and GHOSTED was no exception. The first issue of the ghost-heist caper by Joshua Williamson (MASKS AND MOBSTERS) and Goran Sudzuka (Y: The Last Man) has sold out and will receive a second printing. 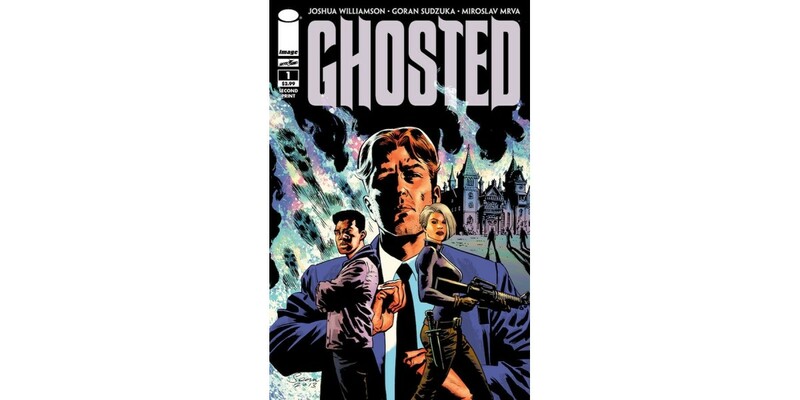 The reprint of GHOSTED #1 will be in stores on August 14, the same day as GHOSTED #2. A classicOcean’s Eleven-style story with a supernatural twist, GHOSTED sets up master criminal Jackson T. Winters with the greatest challenge he’s ever faced: stealing a ghost from a haunted house. Even with a team of paranormal experts, this may be a job even Winters can’t pull off. The second printing of GHOSTED #1 (JUN138032) can be pre-ordered now, as can GHOSTED #2 (JUN130543). A special exclusive edition of GHOSTED #1 will be sold at Comic-Con International in San Diego, taking place from July 18-21.